Twenty-one tons of nitrogen oxides per day could be eliminated if tiles on one million roofs were coated with a titanium dioxide mixture now in development, say the engineering students behind the project. The University of California, Riverside, students also calculate that it would cost about $5 for enough TiO2 to coat an average-sized residential roof. Those are among the findings of a roof-tile research project announced June 4. Such a coating would have “a significant impact” in Southern California, where 500 tons of nitrogen oxides are emitted daily, the students report. 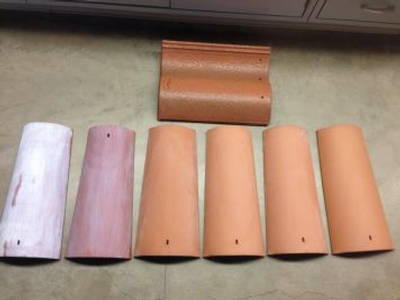 The University of California, Riverside, students coated two clay tiles (at left) with a titanium dioxide mixture and found that the tiles removed between 88 and 97 percent of the nitrogen oxides. Nitrogen oxides, formed when certain fuels are burned at high temperatures, react with volatile organic compounds in the presence of sunlight to create smog. Other roof tiles on the market help reduce pollution from nitrogen oxides. However, the researchers note that there is little data about claims that they reduce smog. The California students have worked for two years on a project aimed at producing data. As part of the project, the students coated two identical off-the-shelf clay tiles with a mixture containing different amounts of TiO2, a common compound found in paint, food, cosmetics and other products. More details about the mixture were not immediately available Tuesday (June 24) morning. A minature atmospheric chamber built by the students was used to test the roof coatings. The coated tiles were then placed inside a miniature atmospheric chamber constructed from Teflon, PVC piping and wood. 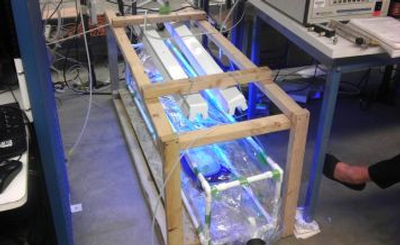 The chamber was connected to a source of nitrogen oxides and a device that reads concentrations of nitrogen oxides, according to the researchers. Using ultraviolet light to simulate sunlight, the students activated the TiO2 to allow it to break down the nitrogen oxides. The TiO2-coated tiles removed between 88 to 97 percent of the nitrogen oxides, they found. “They also found there wasn’t much of a difference in nitrogen oxide removal when different amounts of the coating were applied, despite one having about 12 times as much titanium dioxide coating,” according to the team. Surface area, not the amount of coating, is the important factor, the team explains. While the engineering students are getting set to graduate, they hope a new team of researchers will continue their work and test other variables, the university reports. For example, the students want to see what happens when they add the TiO2 mixture to exterior paint. The team is also interested in other applications, in how long the coating will last and on the impact, if any, of changing the coating's color. 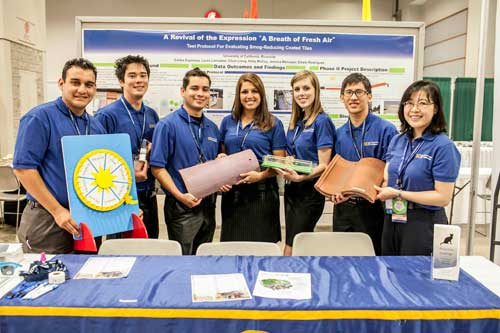 In May, the UC Riverside team—Carlos Espinoza, Louis Lancaster, Chun-Yu “Jimmy” Liang, Kelly McCoy, Jessica Moncayo and Edwin Rodriguez—received an honorable mention for their work in phase two of an Environmental Protection Agency student design competition. The team has received honors and funding for the project from the U.S. Environmental Protection Agency. A student team that worked on the project in 2013 received $15,000 as a phase one winner of EPA’s P3 (People, Prosperity and the Planet) competition. 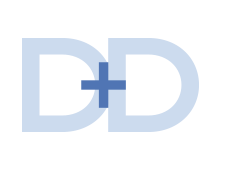 That team consisted of William Lichtenberg, Duc Nguyen, Calvin Cao, Vincent Chen and Espinoza. This is very impressive! Things like this give me hope for our mother earth and all the children of the planet! Keep up the great work!! Ti02 has successfully been implemented in silicate based paint coatings since 2002. Might be a point of interest for the UC Riverside team. Fantastic. I hope the research continues. If the efficiency is created with surface area and not amount of TiO2, it may prove useful to look into types of dyes in order to change the coating's color rather than added pigmentation of different chemistries in order to maintain a maximum of TiO2 coverage. It would be interesting to follow any additional research. Thanks D+D! 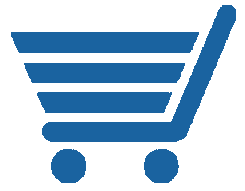 TiO2 is commonly found in virtually any light-colored paint manufactured in the last 50 years. The whiter the paint, the more TiO2. They're "interested" in what will happen to the coatings color when you add TiO2? It will get lighter in color. This was known at least since the 1820s - it was just too expensive to replace lead white in bulk applications until after WWII.